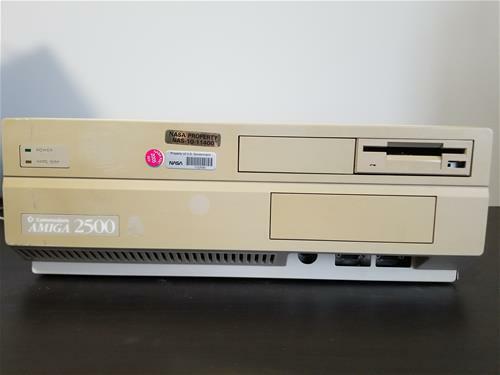 This isn't really another Amiga model - it's just an Amiga 2500 with 2 special casrds and software developed and used be NASA. 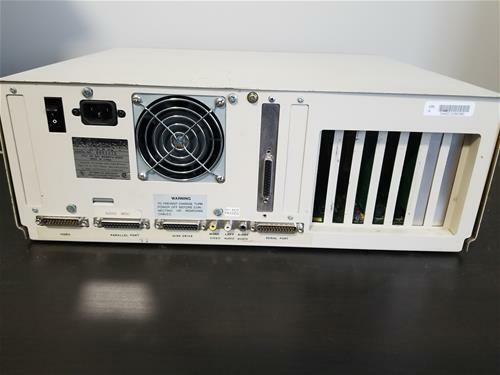 The workstation came from NASA's telemetry labs. The machine was used, amongst other things, to collect telemetry data from various space assets. There are 2 specialized cards that are installed in the machine to read & write all the telemetry data. 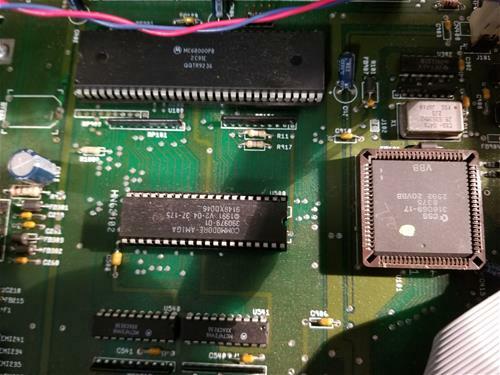 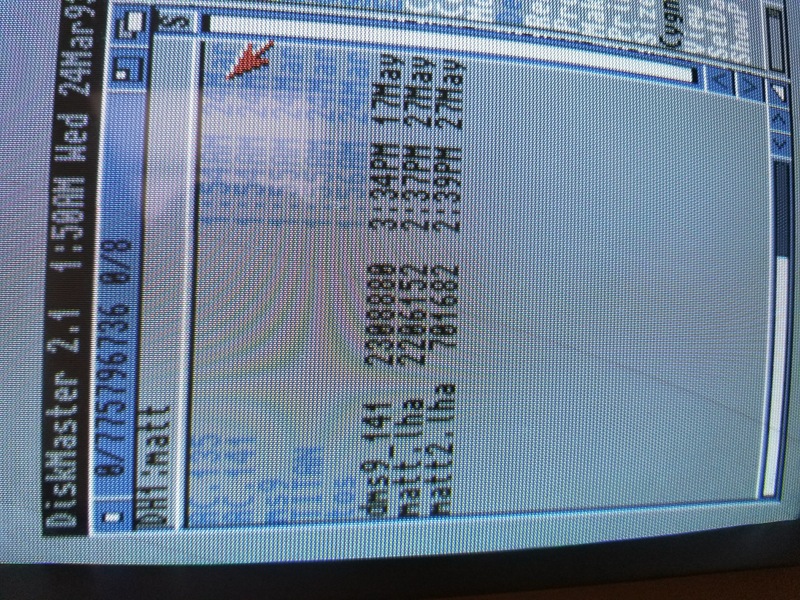 One is called an Amiga 2000 Serial Interface, and the other is an Amiga 2000 Remote DMA Output Controller. 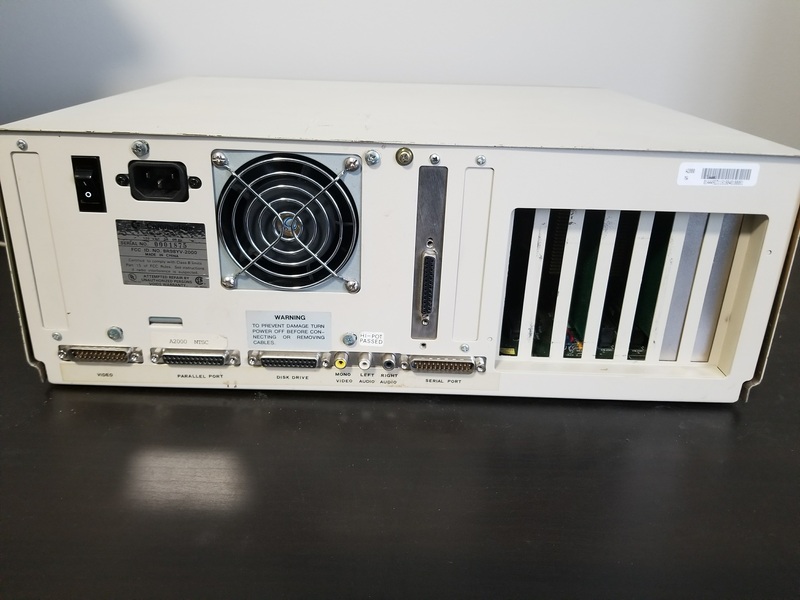 They both have a set of what look like 50pin SCSI cables that I am assuming were connected to external drive arrays or other equipment to read/write massive amounts of data. 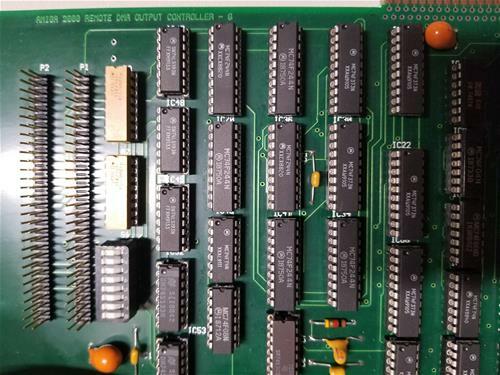 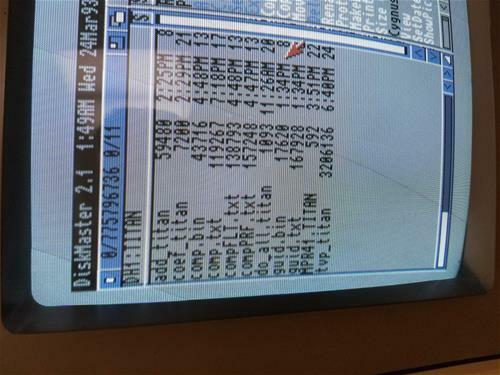 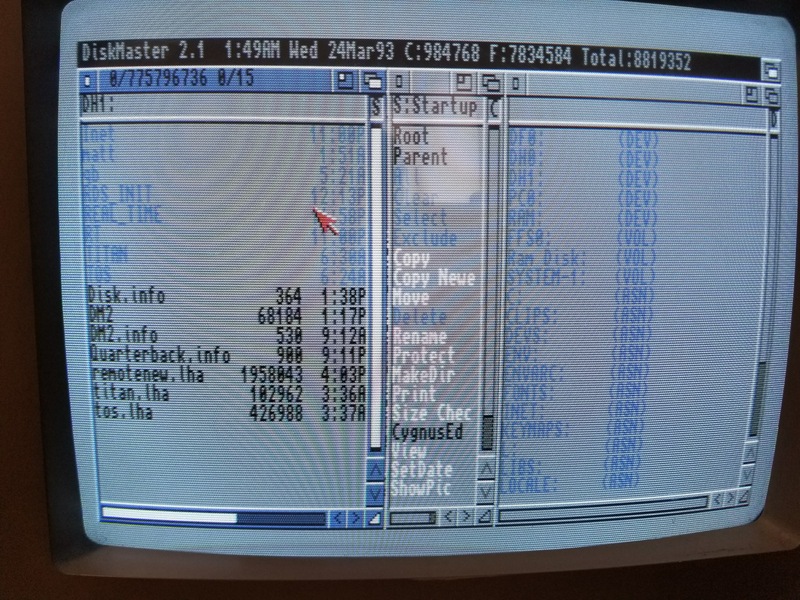 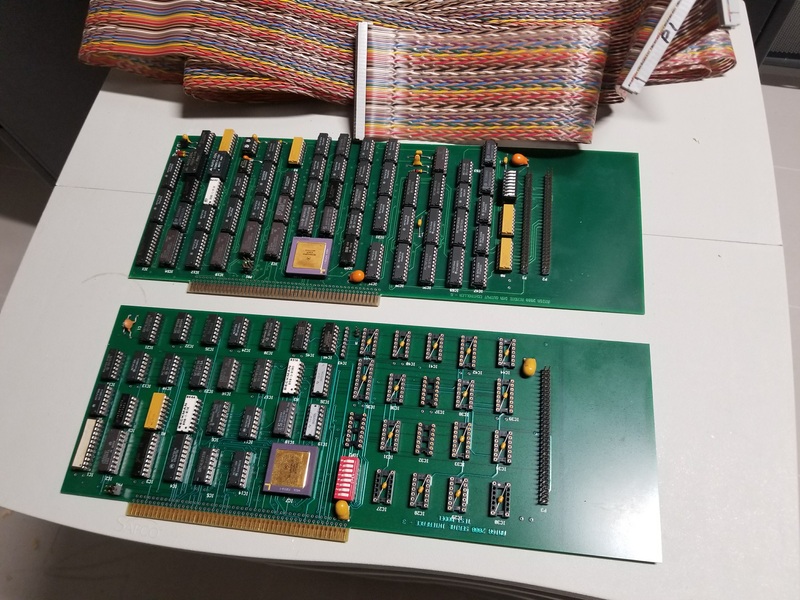 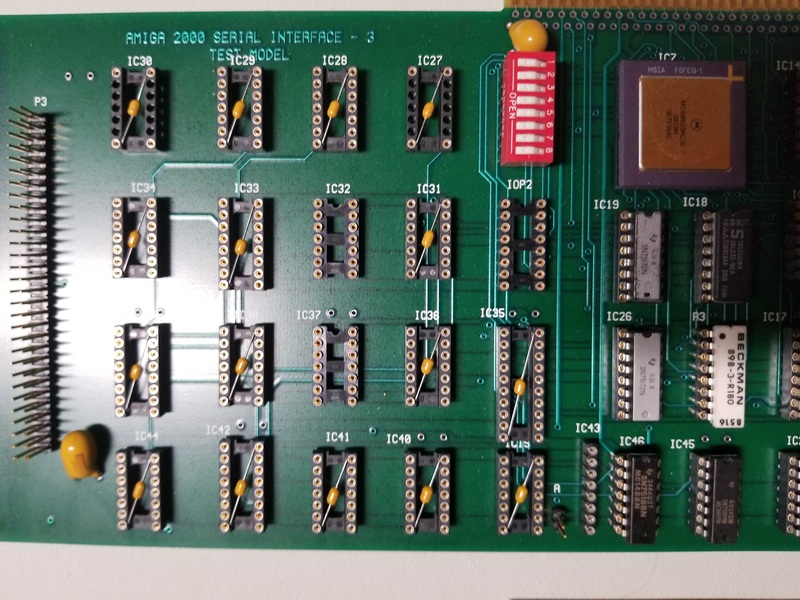 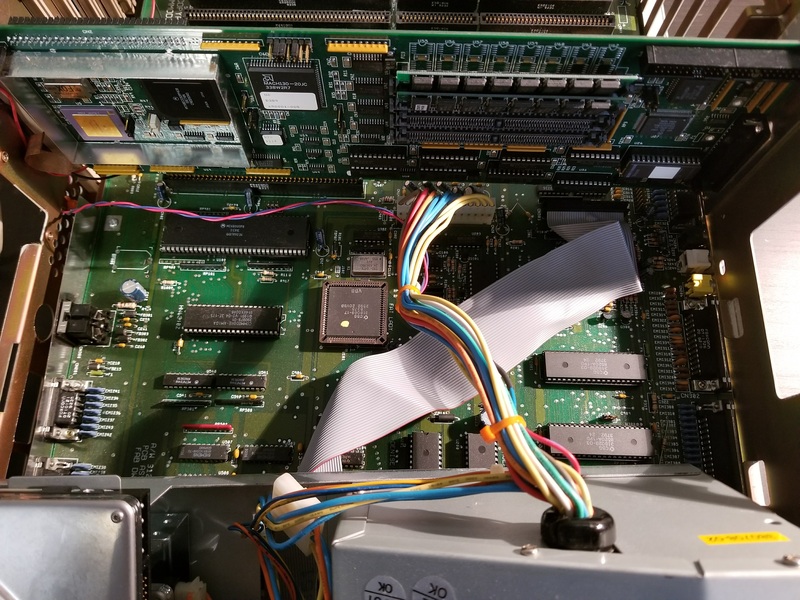 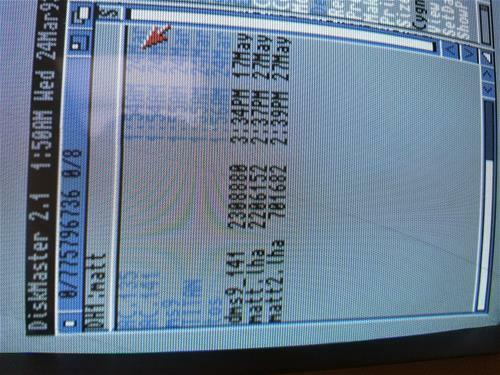 The computer has a GVP 68030 Accelerator card which is running @ 40Mhz from what I can see on the CPU card. 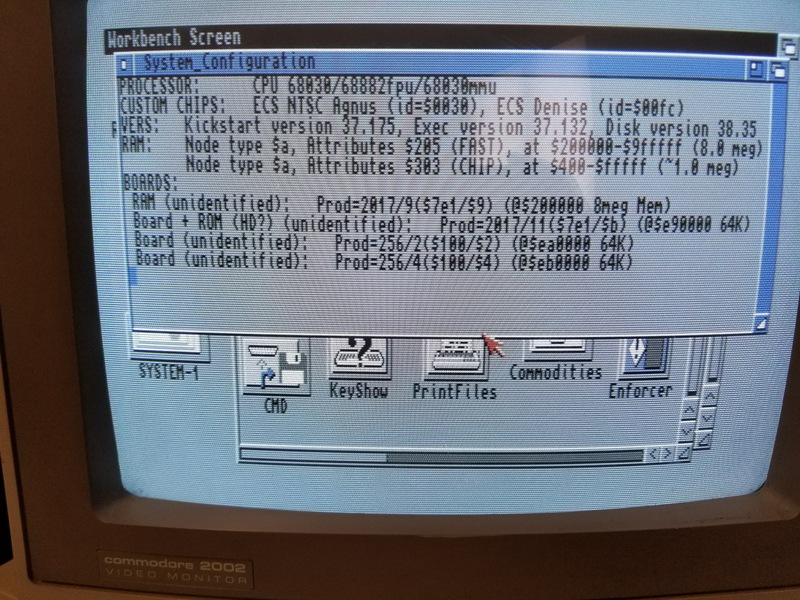 I believe it has 16MB of RAM installed and everything appears to be working. When booted a lot of interesting programs & data files was found, referencing several NASA projects: AC.135, 141, 164, AURA, GP8, MS10, MS11, MS7, MS9, P91, TITAN, PEGASUS, TAURUS, and lots more. 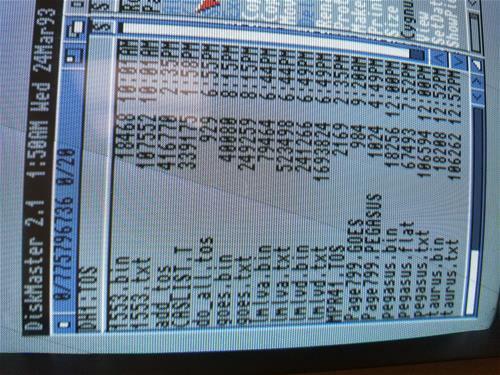 Each project has C source files which were the programs they used to interface with these various space assets. 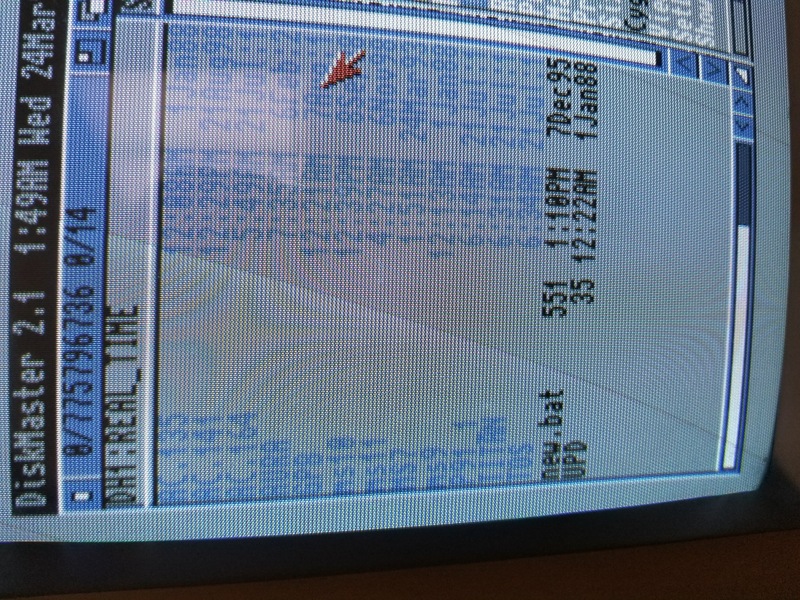 There are project files that date back as far as January, 1988. 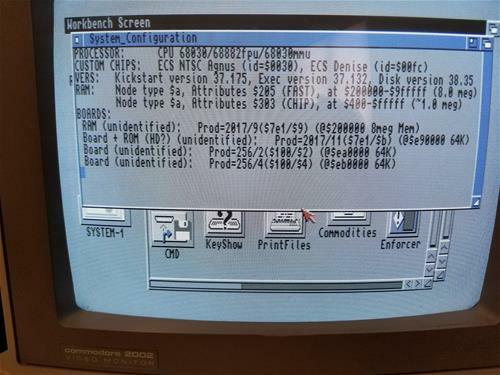 Some of the programs on the computer were coming up as: Registered to: Dave Brown. 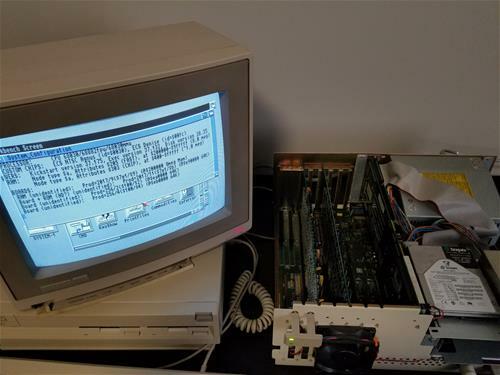 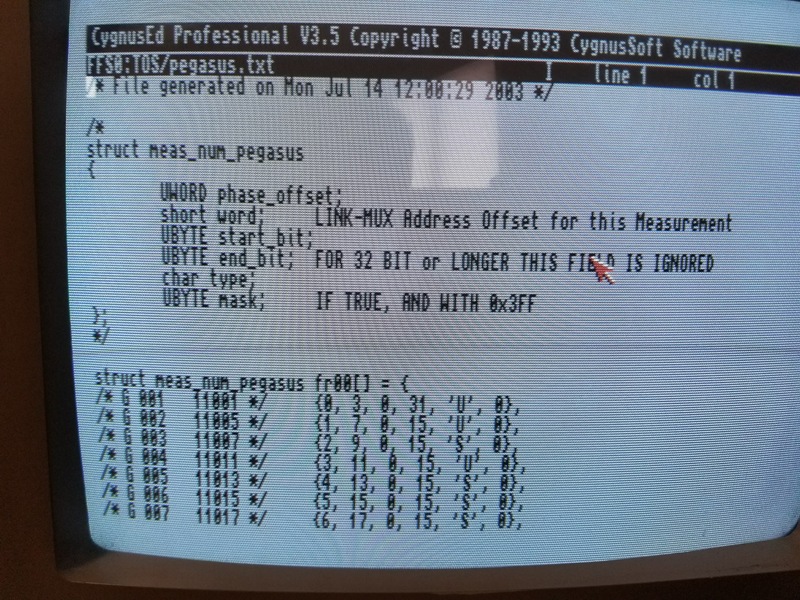 The story behind NASA and Amigas in the Telemetry Lab can be found on Youtube under the title "Even NASA used Amiga's!" Page contributors: Steen Jessen, Victor Ruscitto.